Â Â Â Â Â Our factory, has more than 20 years of experience. 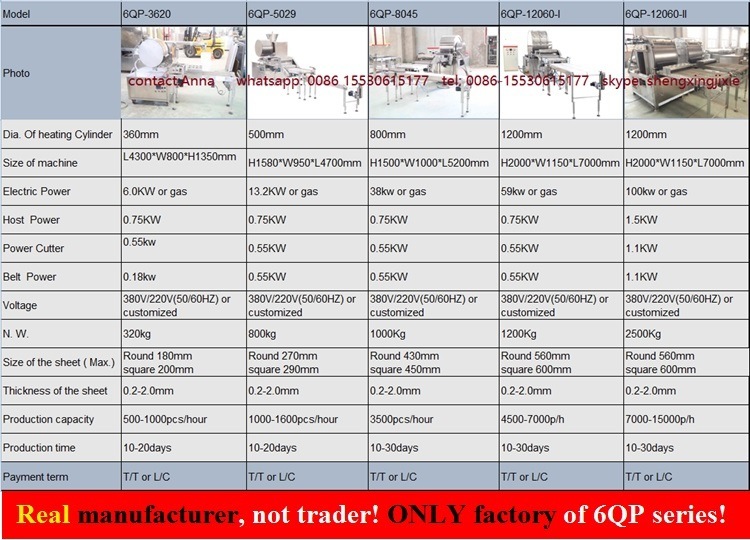 We areÂ the only factory /manufacturer of 6QP series. Â Â Â Â Â We have users from more than 35 countries. 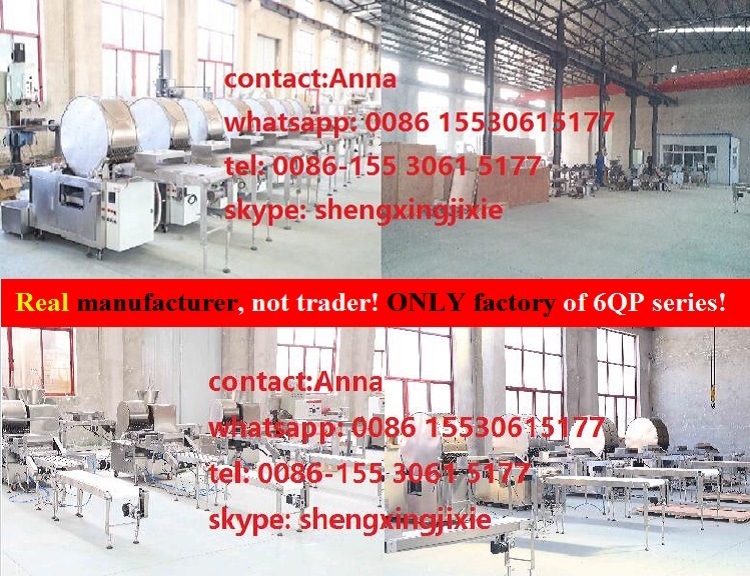 Â Â Â Â Â ManyÂ trading companiesÂ from China or said factories (Â mainly fromÂ Henan, Zhengzhou,Â Shanghai, Beijing, Guangzhou, etc) bring customers to our factory, testing the machine and sell.Â There are aÂ lot advertisement of our machine on other B2B websites and exhibitions.Â All photos in our web are taken by myself. 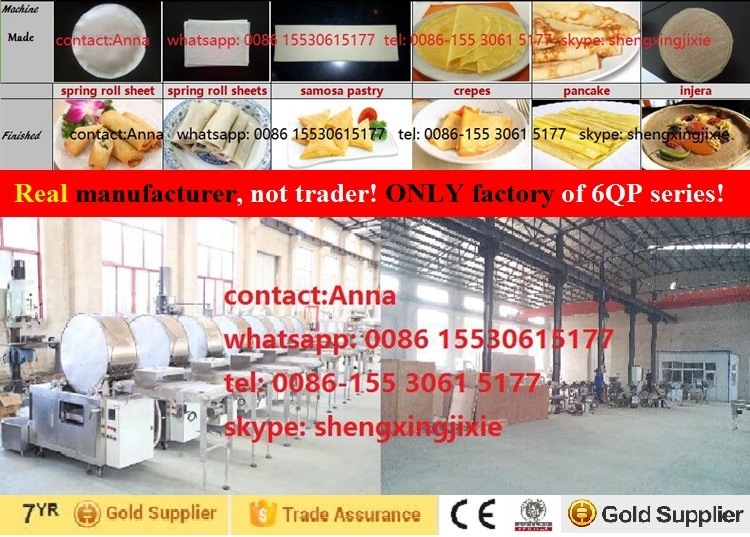 The wholeÂ seriesÂ including 5Â models, each model produce sheets/pastries in differentÂ sizes, shapes, thickness and capacity,Â with different prices. But basic operation and function of each model is almost the same. Â Â Â 1)Â ThicknessÂ of the pastry is changeable from 0.2-2.0mm, depend on exact recipe proportion. 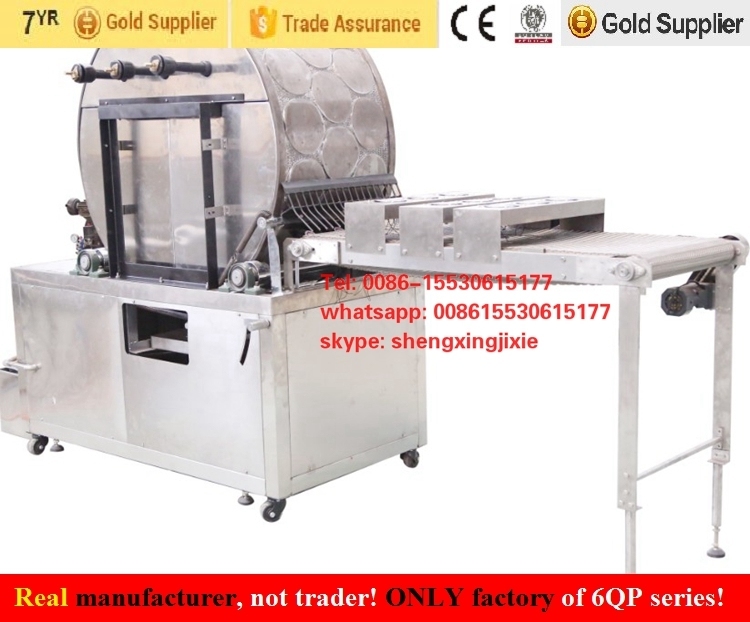 Â Â Â 2)Â ShapeÂ of the pastry can be customizedÂ in round, square, rectangular, oval or otherÂ shapes. Â Â Â 3)Â SizeÂ of pastry can be from 5.0--60cm, depend on exact model. Â Â Â Â Â ---- automatically stacking and grouping to required quantity. Yes, we areÂ real factory/manufacturerÂ with more thanÂ 20Â yearsÂ ofÂ experience. 2)Â Can you ship the machine to my address? Yes, weÂ can use either express or shipment to all possible countries. 3)Â Where are you? Can we go to China and visit your factory? Yes, of course.Â Welcome to visit. Our factory is inÂ Langfang city, China. 100KM to Beijing International Airport. 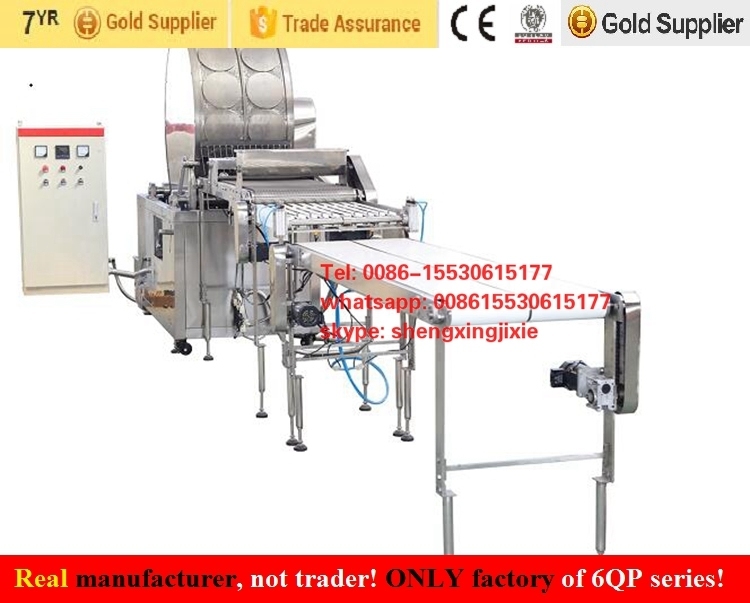 4) What is theÂ warranty and how to installÂ the machine? We offer instruction manual in English version, installation and operation video. Abroad technician available.Â Whole machine warranty 1Â years, forever technical service and support. 5) What documents do you offeredÂ to do the customs clearance? Normally we offer originalÂ commercial invoice, sales contract, packing list, COÂ if you need. bill of lading(FOB or CFR, CIFÂ terms), insurance policy (if CIF terms), . Some special documents required, you can discuss with us before order, we will try our best to service. 2)We are Alibaba Assessed Gold Supplier for 7Â years. 3)Inspected by the Inspection Institution ofÂ Bureau Veritas Certification and CE Quality Certificate. 4)100% QC inspection Before Shipment. I am waiting for the cooperation with you!! !